The year is 2019 AD. Musicland is entirely occupied by casting show idols or faceless plastic pop and suffers from declining music sales. Well, not entirely… One small band of musicians still holds out against the invaders. For almost 30 years, Fiddler’s Green have been playing the role of the indomitable Gaulish Village among Germany’s indigenous rock bands. Their form of resistance against mainstream musical practices? Playing rocked-up Irish music as a German band. Where in the beginnings they were at times met with belittling smiles, the sextet nowadays is sitting prettier than ever and can rightfully claim to be one of the country’s most successful bands. “Of course we notice what’s happening around us, and there are lots of struggling musicians. We were really fortunate in gaining more and more success over time,” accordionist Stefan Klug reminisces. He couldn’t be more right. This decade saw the albums Devils' Dozen and Winners & Boozers climb into the top ten of the German album charts, larger venues were played as visitor numbers rose steadily and the SHAMROCK CASTLE FESTIVAL, established in 2009, became a multi-day-event. The band’s new album HEYDAY (release: March 8th, 2019) underlines this work ethic vociferously. Alongside producer Jörg Umbreit (In Extremo, Dritte Wahl etc. ), the musicians captured 15 songs that indeed sound typically Fiddler’s Green on the one hand but also pack an unfamiliar yet very agreeable punch on the other. Thus, the first single/video release No Anthem refers to the current socio-political climate. The band is ready to take a political stand with this track and shows a clear line against today’s accelerated shift to the right end of the spectrum in Germany, Europe and beyond. "Anyone who knows us personally or as a band has common sense enough to recognize where we stand," explains Stefan. "Ten years ago, there was simply no need to express this message," guitarist Pat Prziwara adds. "These days, you can’t take a position often enough, you must not grow weary of it and when you are in the public eye, you are pretty much obligated to do so." Accordingly, No Anthem presents itself as a modern rebel song, with an attitude and energy not unlike the work of e.g. Joe Strummer or Frank Turner, but with "This is not an anthem, this is a real rebel song", it’s still typical Fiddler's Green. "The so-called rebel song is an integral part of Irish culture," nods Stefan. "And if you want to combine Irish-influenced music with a statement, it's natural to write a contemporary rebel song. Aside from that, the Irish also cultivate the tradition of drinking songs, which we also feel very close to," he continues. The band shot the matching video in Berlin, together with Oliver Sommer of AVA, whom they have known since their early years. Although No Anthem lyrically calls for vehement opposition to right-wing ideas, there is still a small twist in the end of the video, showing that only a common and peaceful coexistence can work in our society. Of course, the band will also be performing No Anthem live across the republic and in neighboring countries, where the audience can expect exactly this bundled load of merciless playfulness and an Irish-folky punk rock hit explosion, which will leave no one standing still. Even after almost three decades, Fiddler's Green still manage to surprise themselves and the fans, especially with their live shows. 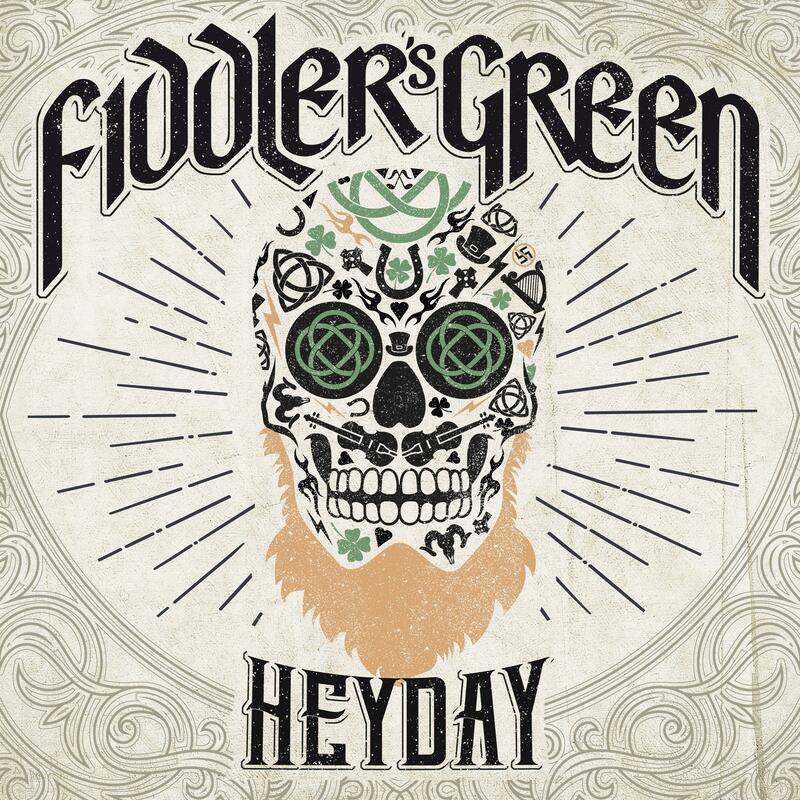 Although their new album HEYDAY, which is their 14th studio output, could finally make the band hit it big time: Fiddler’s Green will never make any compromises in order to reach that goal. No Anthem gives a first impression of this attitude.